← Review Below…First Review on my New Blog. I thoroughly enjoyed the shows “Downton Abbey” and “Upstairs, Downstairs”, so when I read the synopsis of this novel, I knew I would love it or hate it; by comparison. Bradford’s novel is its very own story of a family and their caretakers. Bradford weaves the web of lives, secrets and lies between Servants and the Upper Class at Cavendon Hall, and of English Society from 1913-1920;. 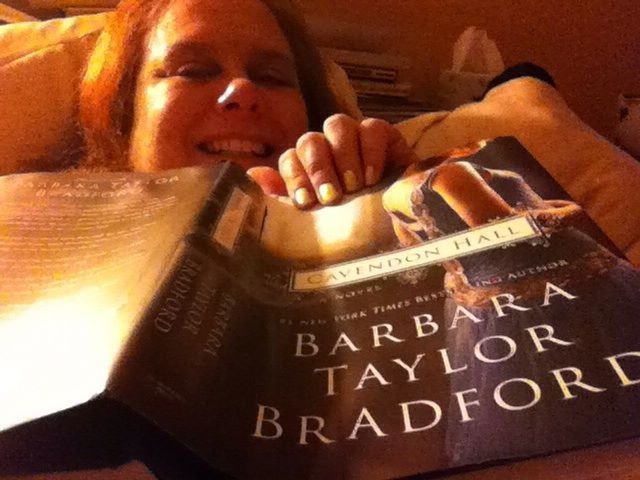 I could not believe the abundance of storylines Bradford’s novel had to share. Each of them could have been their own novel. I had to read the last paragraph and line a few times; hoping for a second book. I wanted to know what happens to Miles and his love for Cecily. Occasionally you fall in deep serious like with a novel, and this is one of them! I enjoyed each character in Bradford’s novel, just as you do on the television screen. A great writer helps you paint a picture! Bradford’s was beautiful. I may have disliked some characters, like Deidre and Felicity, but; I will admit if I like everyone something gets lost in the story. I already miss them, as you miss the season break between “Downton Abbey”. The question is, will there be a wine and tea named “Cavendon Hall”! I think there should be, or Bradford needs to consider it! If there is, I would enjoy a glass of wine or cup of tea as I learn of the life of Daphne and Hugo. What becomes of Charles? Charlotte? The Ingham’s are the family of the house, while the Swann’s run the house. To be fair, the Ingham’s needed the Swann’s; just as the Swann’s needed the Ingham’s. They share an oath that has been honored for centuries. This Oath has lived on for centuries, and each family member goes through a lot to uphold that solemn vow. The question is, can the deepest secrets between each person regarding an attack on Daphne Ingham before her ‘Coming Out” party. Will any of these lies make its way past the four walls of this house? I was wrong. Do not compare “Cavendon Hall” to the television shows you believe this novel to be similar to. It stands Alone. Read it. Go Fall In Love.